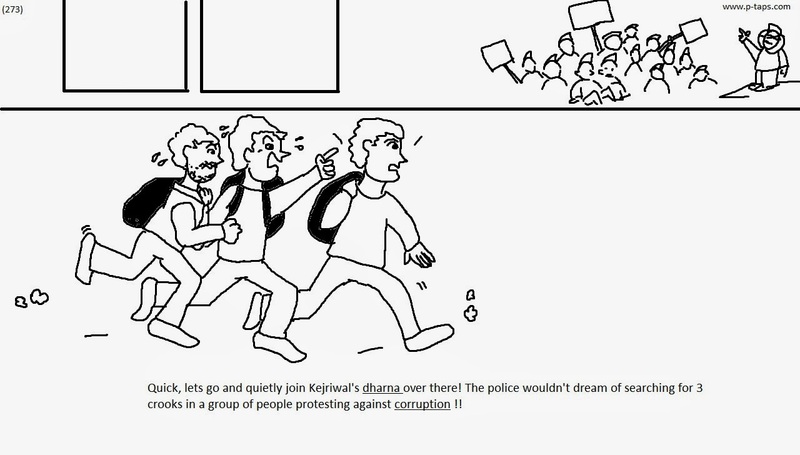 Quick, lets go and quietly join Kejriwal's dharna over there! The police wouldn't dream of searching for 3 crooks in a group of people protesting against corruption! !